A larger-scale super turbo rice husk stove that injects super-heated steam into the burning chamber was recently developed for small cottage industry use. By injecting super-heated steam into the stove’s burning chamber, a luminous pinkish-flame, which is rich in hydrogen gas, is obtained. While cooking, the stove produces clean gas that is released to the atmosphere. This technology is another breakthrough in biomass stove research and development of the Appropriate Technology Center of the Department of Agricultural Engineering and Environmental Management, College of Agriculture, Central Philippine University, Iloilo City. This project was collaboratively assisted by the following agricultural engineering students of CPU namely: Daniel Belonio, Lucio Larano, Ian John Fabellore, Mark Alvin Almazan, and Clark Ian Sansolis. As schematically shown below, the stove consists of a conical hopper that is made of GI sheet no. 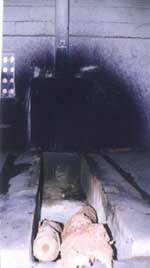 16 where rice husk is being fed for burning inside the combustion chamber, a 5 liter capacity steam tank which boils the water and converts it into super-heated steam, a combustion chamber cover having a diameter of 30 cm that also supports the steam tank, a 2-in. 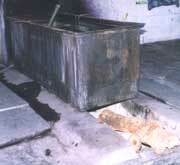 diameter air pipe which supplies the air needed for the combustion of rice husk, a char discharge lever that allows the removal of burnt rice husk during operation, a steam burner that is made of 2-in. diameter stainless steel pipe that ignites hydrogen gas from the steam, a 12-mm diameter round bar support to firmly hold the stove, and pot holder to support the cooking pot. Rice husk, which is a by-product of milling of rice, is a potential biomass material that can be used to replace diesel fuel that is commonly used in a recirculating- type grain dryer. Gasifying rice husk on a top-lit updraft (T-LUD) mode was proven to produce quality flame that approaches the quality of that of diesel. 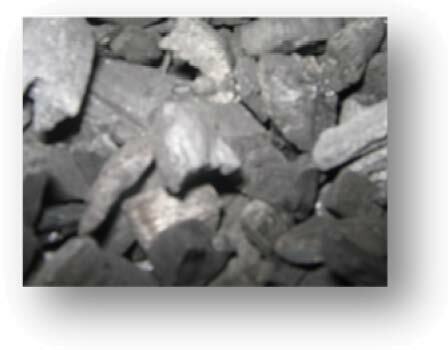 Using gasifier, combustible gases can be piped-in through a remote burner for direct use by the dryers. Since, T-LUD type rice husk gasifier normally operates on a batch mode, a dual-reactor rice husk gasifier was designed and developed so that the reactor can be alternately ran thereby continuous drying operation can be achieved. 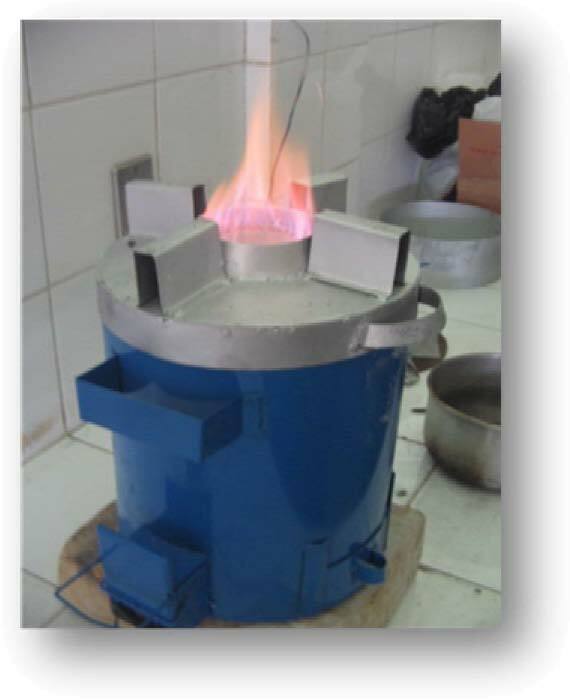 Look at this blog of a wood gas stove developed with community participation. 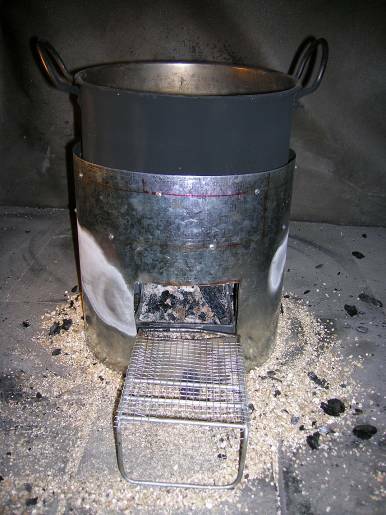 A low-cost portable Woodgas stove has been developed based on the Garlington’s downdraft gasifier model stove. 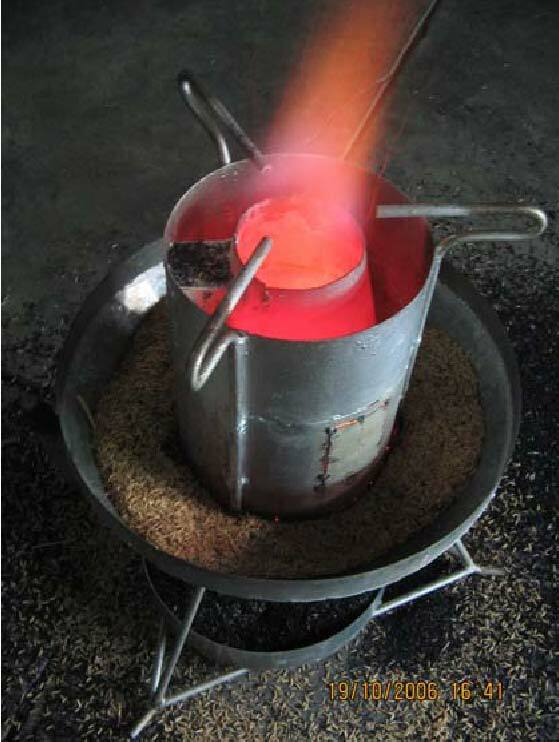 A small tin can of 3.5 inches diameter and 5 inches height (“Lactogen” tin can) is used for making the Wood-gas stove. For grate an aluminum wire is used at the bottom. Primary and secondary air slits are puctured into the tin to make the stove. A tin sheet or bricks or mud and stone can be used for the skirt and fire place. For fuel one inch length small pencil size sticks (pruned twigs) or shavings and chips of wood from a carpenter’s workshop can be used. This stove burns for about 8 minutes with the wood gas generated and later on the resultant charcoal burns for next 5 to 8 minutes giving sufficient heat for boiling one liter of milk or one person can take bath with the boiled water. Efficiency : Highly efficient as compared to rocket stove. Note: Preferably should be used in good ventilation conditions.